Square Enix welcomes new fans to experience the classic RPG Romancing SaGa 2, which is now available for the PlayStation 4, the PlayStation Vita, Nintendo Switch console, STEAM, Xbox One and Windows 10. 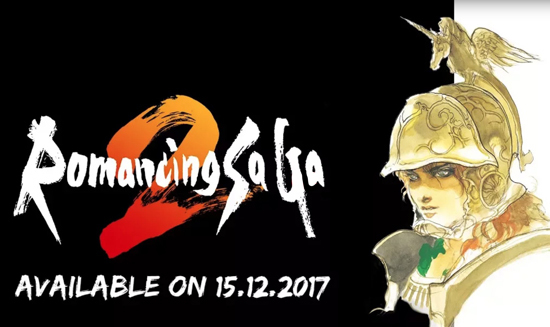 With exciting, enhanced features since the original release, Romancing SaGa 2 comes to modern platforms for the first time. Players can sit upon the throne of the Varennes Empire and control several generations of rulers in a valiant battle against the Seven Heroes. A dynamic freeform scenario system - a hallmark of the million-selling SaGa RPG series - enables you to take command of a variety of protagonists along the line of imperial succession and experience the history of a nation as it grows and changes based on your actions. In order to celebrate the release of this classic adventure, a 20% discount is available across all platforms, including the iOS and Android versions which were released last year. The 20% discount will be available for a limited time, from launch through to 8th January. Romancing SaGa 2 is now available digitally for the PlayStation 4, PlayStation Vita, Nintendo Switch, STEAM, Xbox One and Windows 10 as Universal Windows Platform.